IPTV and OTT software provider Keepixo has opened a North American office in Montreal and has named Pierre Lauzon as vice-president, sales for North America. 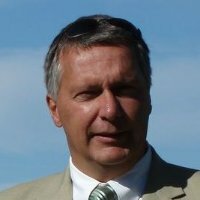 Lauzon previously worked as director of sales for transmission services provider Aldea Solutions and he has also worked for Miranda Technologies and ATEME. “The opening of our office in North America marks a major milestone in our international expansion. It is also a clear indication of our continued focus on the region. We are also very pleased to welcome Pierre Lauzon to the Keepixo team. Pierre brings more than 12 years of experience in sales and marketing of broadcast products. He will be instrumental in the next step of the company’s growth in North America” said Pierre Marty, CEO of Keepixo. “I am excited to be joining the Keepixo team at this stage of the company’s development. Keepixo has a strong and industry proven portfolio of products. I look forward to working with the Keepixo team to strengthen the company’s market position in the region” said Lauzon.